Bridges is the founder and owner of Get Organized with Bridges + CO. She is the premier organizer in the valley with over six years of experience in the industry. You may recognize her as Channel 3 TV’s organizing sweetheart. If you haven’t viewed the segments yet you’re missing out! Not only is Bridges an excellent organizer, she is a phenomenal coach. She has created a team of seasoned organizers who understand that organizing is not a one-size-fits all. She teaches the importance of using the foundational methods of effective organizing with a combined customized approach to cater to the needs of the client. Clearing the clutter is only part of the process; leaving the client with the tools, resources, and support to maintain systems is the end goal that drives Bridge’s passion. Bridges works to give her clients back the time to enjoy what they really love in life. She herself enjoys spending time with her boys and the great outdoors. Short Business Description: Joie de Vivre Consulting is your one stop shop for joy-filled bookkeeping and administrative consulting. I offer bookkeeping services, life/business coaching and professional organization services. I can assist you in customizing your bookkeeping, office filing systems, office organization, business strategy plans, and administrative needs to name a few. I offer bookkeeping services, life/business coaching and professional organization services. I look forward to the pleasure of meeting with you and getting to know what you are passionate about and how my business can help you joy-fully achieve your business or ministry goals! 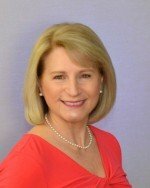 Short Business Description: As a Professional Organizer and Relocation Specialist, I work with older adults who wish to simplify their homes or need help with downsizing and relocating. I also work with busy women to help them reclaim their space. We have a passion for helping people and teaching them simple ways to create and maintain order in their space and life. Specialties include downsizing and relocation services, working with seniors, home organizing of all rooms. Organizing by Doreen has a mission to help each client achieve their organizing goals and to find the right balance of healthy chaos and order that is acceptable to them. We create a personal, customized approach to each situation to create systems that will simplify their lives. Our specialties include downsizing, relocation services, closets, kitchens, home offices and more. We have a strong interest in working with older adults, helping them downsize and relocate, or simply making their space or life easier. We find the simplest, most efficient systems, routines, and habits to teach our clients and will help them save money, get more energy, and find more time.